Do I have to avoid eating or drinking anything while I am being treated? Isn’t it dangerous to use poisonous herbs? Can you treat any condition? Is it true that homeopaths don’t agree with vaccination? 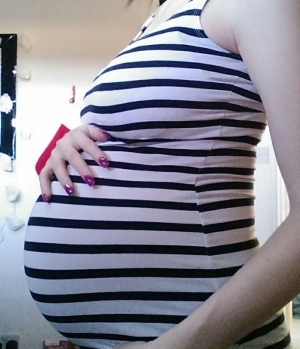 Can homeopathy be used for pregnant women and small babies? How do we know homeopathy works? Could it just be a placebo? If the remedies are so dilute, how can they work? Is there any real evidence that homeopathy works? Can I take over-the-counter homeopathic remedies? The initial consultation will last approximately one and a half hours. I will ask questions about your physical symptoms, as well as general things about food likes and dislikes, thirst, perspiration and sleep etc. I will also ask you about your personality, fears and anxieties in order to get a clear picture of how you respond to certain situations. This will help me to determine which remedy is best for you. In some circumstances, I may advise you to contact a medical practitioner to have tests or discuss other options. After the first consultation I will send you the remedy I have prescribed. It will be in the form of either drops or tablets. I will usually ask you to make another appointment in 6-8 weeks' time so that we can review how things are going. During this period you may notice certain changes. Sometimes there is a reaction after taking the remedy, which often takes the form of a discharge (for example, a runny nose). Or you may notice a temporary release of emotional symptoms. Later, you may notice that old, sometimes forgotten, symptoms appear briefly. Homeopaths believe this is a good sign, as it means the body is dealing with conditions that were previously suppressed or not dealt with at the time. It is best to avoid eating, drinking or cleaning your teeth for 15 minutes before and after taking a remedy, as this can reduce its effect. There are several regulated homeopathic pharmacies in the UK which make remedies. There are more than 3,000 of these made from a wide variety of plants, minerals and the animal kingdom. They are prepared by a sophisticated process of dilution and succussion (vigorous shaking), after which very little of the original substance remains. Homeopaths believe that remedies work by using the energy of the original substance, rather than its material properties. 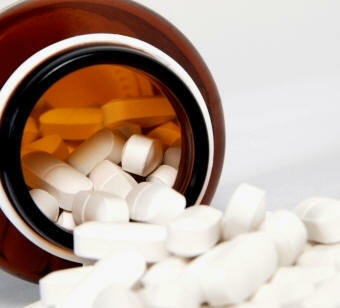 Homeopathic medicines come in different potencies (strengths) in the form of liquid, powders, and hard or soft pills. It is easy to confuse homeopathy with herbalism, because we also use plants in some of our medicines. Herbalists use tinctures (crude doses), but, although many medicinal plants are POTENTIALLY poisonous, our medicine is highly diluted, so there is no chance of toxicity. This can vary because each individual case is different. Some patients report changes within hours or days, but deep-seated conditions may take some time to resolve. It’s important to remember that homeopathy treats the individual holistically, rather than named diseases. So, ten people suffering from the same condition are likely to need different remedies. However, if your symptoms persist you should always consult a doctor. Yes, because homeopathy works in a different way, it can safely be used alongside conventional medicine. Homeopaths specialise in the treatment of individuals and their unique responses to disease. So we work with a different health model from the conventional one, which aims to increase 'herd immunity'. The Society of Homeopaths acknowledges that there is much anecdotal and scientific evidence to support the arguments presented for and against vaccination. We believe that parents should be supported in making rational, informed decisions on the short and long-term implications of vaccination. Homeopathy can be used to support women with common problems of pregnancy, such as morning sickness, backache and fatigue. 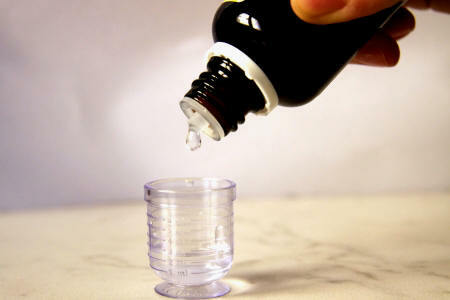 Because homeopathic remedies are non-toxic, they are suitable even for very small babies. Homeopathic medicine gained great popularity in the 19th century due to its impressive successes in the treatment of infectious diseases. The death rates in American and European homeopathic hospitals from cholera, scarlet fever, typhoid, and yellow fever were typically two to eight times less by percentage than those in conventional hospitals (Bradford, 1900; Ullman, 2007). Homeopathy successfully treated the flu epidemic of 1918. While the mortality rate of people treated with traditional medicine and drugs was 30 percent, those treated by homeopathic physicians had mortality rate of 1.05 percent (Grimes, 2009). While it is true that there is an element of placebo in any therapeutic relationship, homeopathy has been in continued use for over 200 years and its success rates are much higher than that which could be attributed solely to placebo. For instance, homeopathic remedies are regularly used on babies and animals, who clearly have no appreciation of what they have been given. Evidence of clinical efficacy of homeopathy. A meta-analysis of clinical trials. 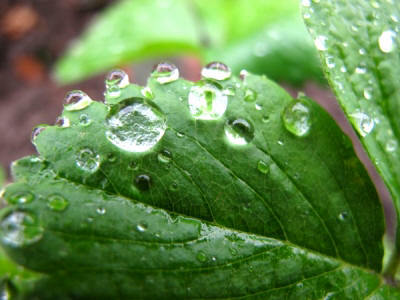 Unlike other forms of medicine, homeopathy does not work on the material level. The remedies are so dilute that there is little or no molecule of the original substance remaining. Homeopaths believe - and there is mounting evidence to suggest - that homeopathy is what is known as an ‘energy medicine’. In other words, that homeopathic remedies work by using the energy from the original substance. Experiments in the area of quantum physics, that is, at the sub-molecular level, tend to support our theory that homeopathy is rather like a message to the body to heal itself. An interesting book about water, including the memory of water in the quantum field, is The Story of Water: Source of Life by Alick Bartholomew (Floris Books, ISBN-13: 9780863157387). Speaking in 2010, Professor Montagnier said: "High dilutions of something are not nothing. They are water structures which mimic the original molecules. It's not pseudoscience. It's not quackery. These are real phenomena which deserve further study." We are frequently told in the media that there is no evidence that homeopathy works and that it is 'unscientific' (i.e. not based on any scientific evidence). The implication is that mainstream medicine is. Interestingly, the British Medical Journal recently reported that 50% of all treatments prescribed through the NHS are not evidence-based – in other words, not supported by scientific research. If we were to apply the same requirements asked of homeopathy to the NHS, all these treatments would have to be discontinued. The best evidence that homeopathy works is provided by patients who say they feel better after using it. Science has only recently been able to explain how anaesthesia works, but no one would have dreamt of getting rid of it before this point was reached. Indeed, orthodox medicine has often relied on clinical experience and their observations of it working, rather than a scientific understanding of the way it works. For example, aspirin is one of the most widely used drugs in the world, yet it was used for over 70 years before it was discovered how it worked in 1971. The drug is still actively being researched because it has many effects on the body that even today are still not fully understood. Saying that homeopathy does not work because there is no scientific evidence is illogical. I often say to my patients that, while 'experts' in the early 17th century believed the earth was flat, it continued to be round! These 'experts' refused to listen to Galileo or look at his evidence, and he was imprisoned for his views. Eventually, science caught up. Yes, there is a good evidence base for homeopathy. By the end of 2007, 134 Randomised Controlled Trials of homeopathy had been published in peer-reviewed journals. Of these trials, 59 are positive (i.e. demonstrating that homeopathy has an effect beyond placebo), 8 are negative and the remaining 67 are inconclusive. This is despite the fact that RCTs are not a good way to trial homeopathy because it is an individual treatment. Journal of Alternative and Complementary Medicine, 2005, 11:793-798. London: The Stationery Office Limited, 2010, pp. Ev 25-26. You can try to alleviate some minor ailments with over-the-counter remedies. However, more serious or recurrent problems need proper assessment by a qualified homeopath who can examine the underlying causes and determine the most appropriate treatment. If your symptoms persist you should always consult a doctor.